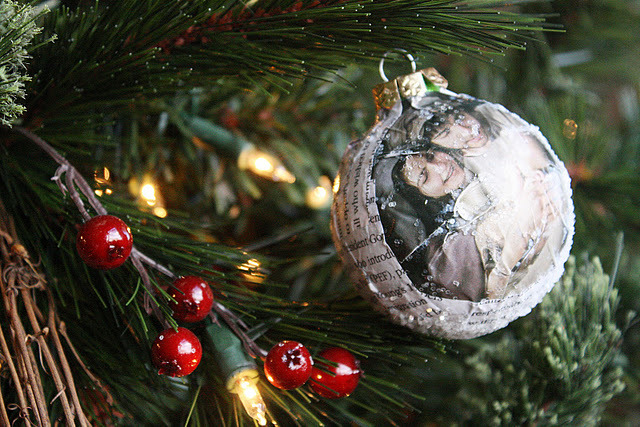 If you have some old glass or paper mache Christmas ornaments that need to be dressed up, Erika has used a little mod podge and come old magazines to create beautiful homemade Christmas ornaments. They would be great to make with Christmas cards from last year too. You can see the tutorial for these Decoupage Christmas ornaments over at Oops, I Craft My Pants and some other ideas for Mod Podge Ornaments HERE.